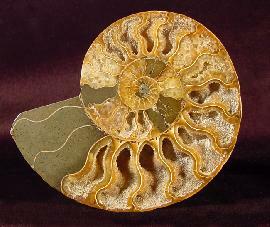 Ammonites from Madagascar are mostly work crafted. They are polished, cut in halves or smoothed and do show the inner structure of an ammonite shell. 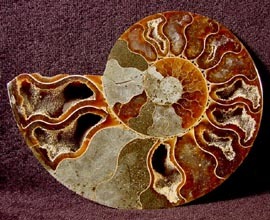 The chambered part of the ammonite shell shows patterns that remind us of fractals. Also the diverse colors are stunning to look at because of different minerals and crystals. 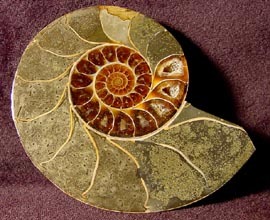 Most beautiful fossils are those ammonites that show the pearly shell, and are iridescent in many colors..